My name is Karina Taugwalder. I have a passion for helping you with visibility through online marketing. I specialize in website design, social media and content marketing. I work mostly with authors who need guidance with visibility getting out there selling books. Most of my clients come to me by referral, webinars and workshops. Learn more about Karina Taugwalder. Michelle Zenisek has been a Virtual Assistant for over 5 years and uses her skills to help clients with tasks they don’t want to do or just don’t have time to do. Michelle’s skills include Social Media Management, Email Marketing and Sales Funnels. 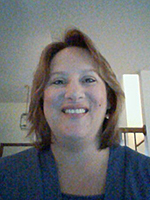 Michelle resides in Wisconsin with her two teenagers and loves to go on long walks in her free time. Learn more about Michelle Zenisek: coming soon. 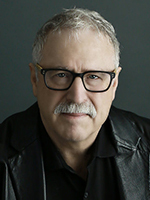 Alan Markowitz, CEO & Founder, established Pixels With Purpose in 2001 to meet the needs of small to medium business seeking to promote their goods or services on the Internet. Drawing on his more than 20 years’ experience in marketing and web development, Markowitz has been able to bring his clients added value beyond just putting “pixels” up on the screen. 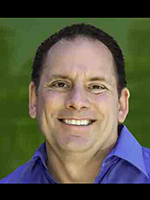 He uses a “marketing intensive approach” that looks at the overall health of his clients marketing plan. He helps his client to explore their strategic goals for their online presence, their available resources to achieve those goals, and setting benchmarks to measure the success of their online efforts. Learn more about Alan Markowitz. Charles Warnock is a San Francisco Bay area digital marketing consultant helping Real Estate, Finance & Tech Companies grow faster. His focus is on creative content, digital marketing, campaign optimization and growth. He provides sales-aligned visual content marketing to turn prospects into customers and customers into raving fans. Learn more about Charles Warnock.